Though it’s Saturday and Black Friday is gone, yet it’s still not forgotten. Majority of the retailers are still pretending like this is the ultimate working day of this week and as they continue their deals and discounts over to the weekend, there are numerous mobile phone retails which have slashed off their prices on the range of network deals and smartphones. The year 2017 has been eventful and noteworthy for the mobile phone industry as there have been too many flagship releases by different companies and there is also this ever-anticipated wait for the launch of the brand new iPhones. 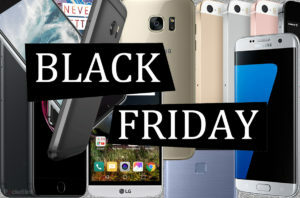 Although it is true that the brand new phones are pretty costly; where the iPhone X costs 999pounds, yet Black Friday is all set to offer you the ideal opportunity to choose any of them at a pretty discounted price. Amazon, Tesco Mobile and Carphone Warehouse offer some really great offers on flagship phones. Let’s check out the list of mobile phone deals you can benefit from during this Black Friday weekend. This latest phone from Apple has met with enough accolades from their fans and critics alike but their only point of criticism is their high price. This phone’s processor is as fast as lightning and stunning screen and wireless charging is also its USPs. If you buy this same phone today with 12 GB data, you will have to pay just $34 per month and also pay an upfront cost of $190 or $180 with a deal cost. This is undoubtedly the best rate that this company can offer for its fans on Black Friday. Here too you get the best SIM-free offer on Samsung Galaxy and that too at the best moment of Black Friday weekend. This phone has managed to garner some really interesting and positive reviews and it is being considered as the best Samsung phone till now. The Note 8 from Samsung is the bigger version of S8 Galaxy and it is also powered by the latest version of Android. It even features the first-ever dual-lens camera by Samsung. This costed $569.99 but now on Amazon you can get it at as low a price as $445! This is yet another best SIM-free offers which people have ever found on the Galaxy range of smartphones. The Galaxy S7 is unanimously regarded as probably the best phone which was ever released in 2016. Besides the edge-to-edge display which runs from one side of the phone, it has also got a whopping 32GB storage and an awesome battery that will offer you 27 hours of talk time. If you want to see the cheapest deal that you may have ever got from Nokia, this is the right time. The Nokia 8 comes with a storage space of 64GB. By paying only $360, you can grab an extremely powerful smartphone which offers you battery life of around 2 days. This phone has got a brilliant dual camera and a processor which is wickedly fast. You will get this phone in dual colors like silver and sleek blue. You may even choose an inexpensive SIM-only deal to match with your phone, thereby saving money as compared to different contract offers. Therefore, if you wish to bag yourself the best discounted and cheap smartphones, rush to the stores, both online and offline to snag the best deals. This is the ultimate dream-come-true offer for a gadget-freak.